The new Peugeot 301 is a clear illustration of the Marque's internationalisation and demonstrates its desire to conquer new markets. It has been specifically designed to appeal to a wide customer base attracted by four-door saloons which are both accessible and present an enhanced level of status. 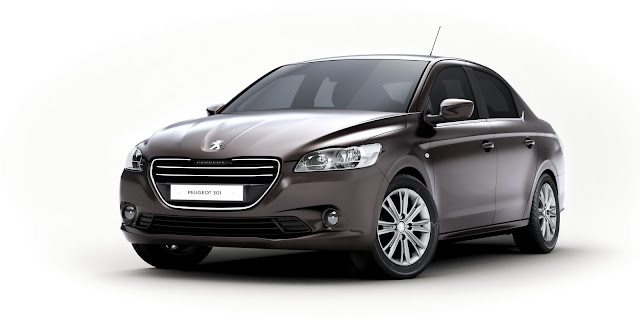 In keeping with Peugeot’s desire to introduce cars for specific markets, the 301 is not intended for the UK market. 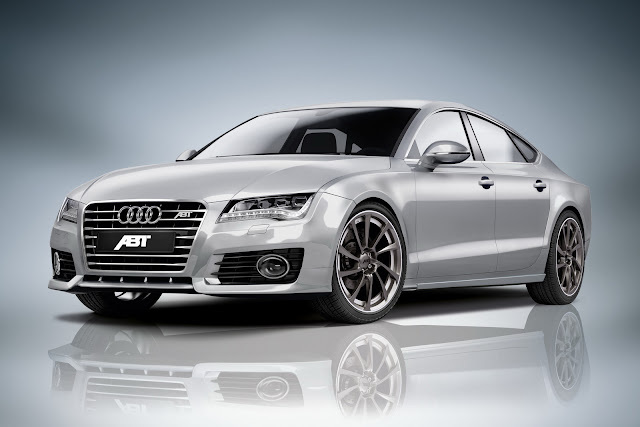 The ABT AS7 is a special car indeed. Naturally, the “AS” stands for “astonishingly sporty” and the coupé is elegant, assertive and comfortable, even over long distances. And especially in its latest, strongest Diesel version, the 3.0 TDI, which ABT Sportsline has developed for people who are on the road a lot but want to have it all. “This 3 litre diesel simply is a very economical high-performance engine,” says CEO Hans-Jürgen Abt. 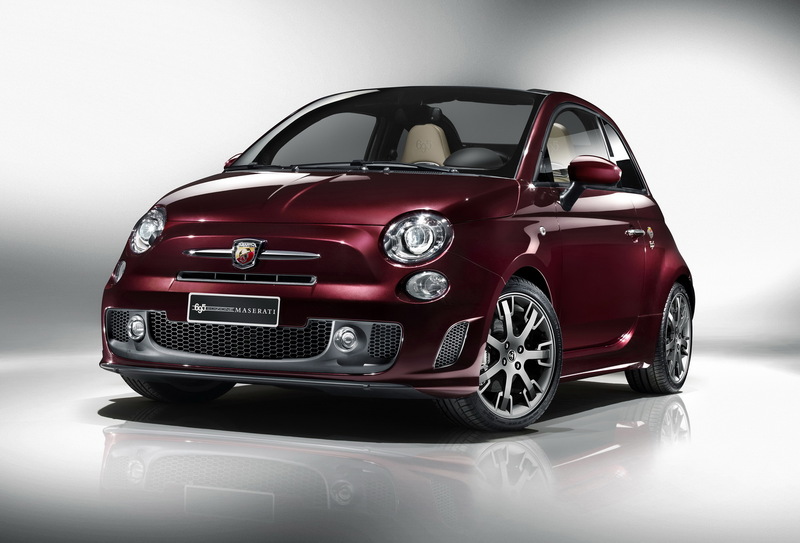 The new limited edition Abarth 695 Maserati Edition will cost £32,000 (OTR) when it goes on sale in the UK at the end of this year, the high performance brand has just announced. A set of stunning Tramontano leather luggage is among the exclusive convertible’s long list of standard equipment. 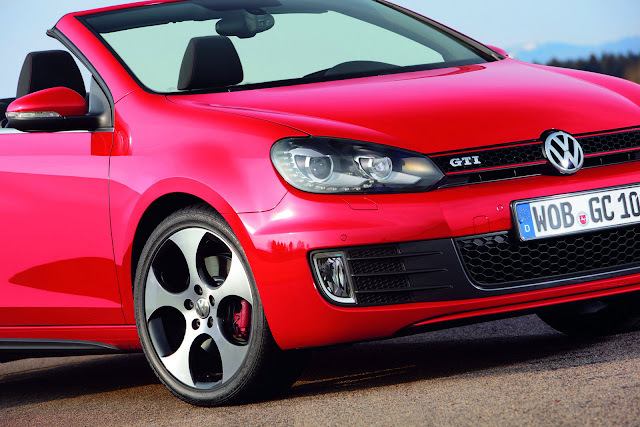 WOLFBURG : May 21, 2012 - No other sporting label in the compact class is as familiar or as successful as Volkswagen’s “GTI” signature. When the first Golf GTI made its debut 36 years ago, the letter combination became – almost overnight – the definition of a new vehicle segment. Since that time, only the GTI has been considered the original among compact sports cars. After selling over 1.8 million Golf GTI cars, Volkswagen is now launching the first open-top version of the icon: the Golf GTI Cabriolet with 155 kW / 210 PS. The convertible, which sports such standard features as an electric soft-top, air conditioning, electric windows, an audio system and a roll-over protection system, will begin arriving at dealers in mid-June; the open-top GTI is offered at prices from 31,350 euros in Germany. And despite a clear performance advantage over its direct competitors, the new Golf GTI Cabriolet is the most economical model in its class. VIENNA : May 20, 2012 - A special car to befit a special occasion: Franca Sozzani, chief editor of Italian VOGUE, has designed and presented her very own MINI model exclusively to mark the 20th anniversary of the charity event. The model in question is a MINI Roadster, the first open-top two-seater in the brand's history. The one-off creation, which went under the auctioneer's hammer at the AIDS Solidarity Gala and raised a donation total of 54,000 euros for HIV projects, left the audience of around 43,000 in no doubt: this is set to be a sporty, feminine summer. 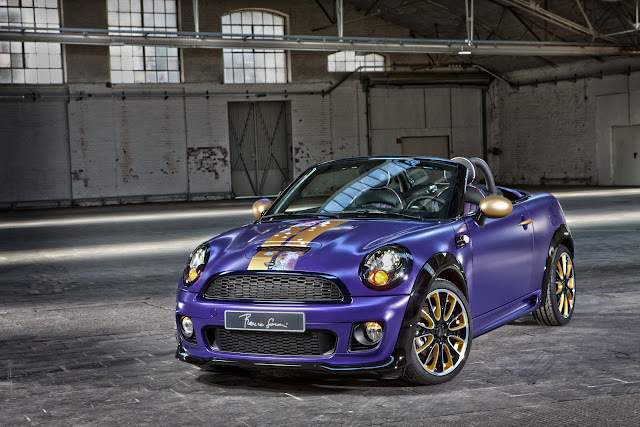 Franca Sozzani decorated the roof of the 184 hp MINI Roadster – which has a top speed of 227 km/h (141 mph) – in a stylishly intricate floral design which, in combination with very "of the moment"
The new edition of the BMW 3 Series Touring makes its mark in the premium sports estate segment with its hallmark BMW dynamic prowess, enhanced practicality and versatility, and a range of standard equipment features assembled to meet the challenges of everyday life. The new car’s larger interior is extremely versatile and designed to adapt to everything its customers’ modern, active lifestyles can throw at it. 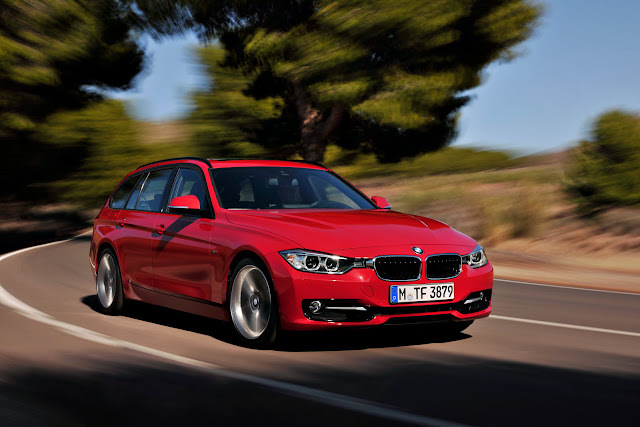 In this role, the new BMW 3 Series Touring convinces equally as both a sporty, elegant and dynamic way to eat up the miles and a comfortable and spacious vehicle for sports and leisure pursuits. 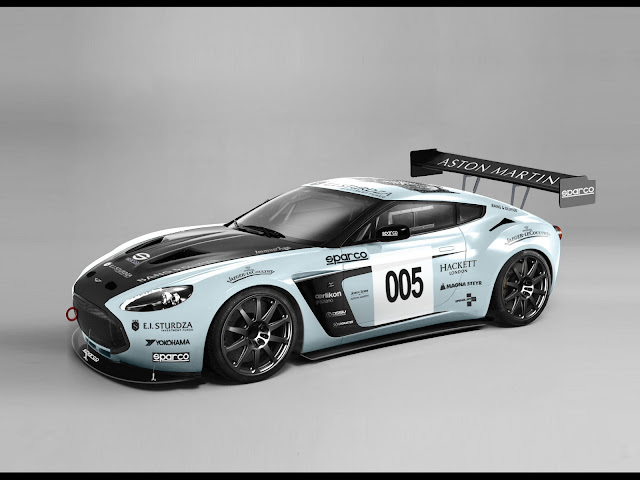 For the seventh successive year, Aston Martin will compete in the ADAC Zurich Nürburgring 24 Hours (19/20 May) as a total of eight Vantage racers gear up for the endurance epic. The marque will field its most ambitious entry to date with four official Aston Martins – including a pair of V12-powered Vantage GT3s – supported by a further four customer cars. Only once has there been anything like it, but even that wasn’t as quick. 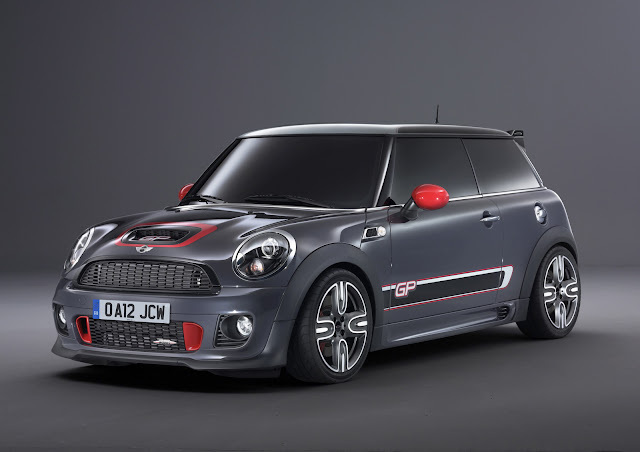 With the MINI John Cooper Works GP, the British premium brand has come up with another car of exceptional talent designed to deliver extreme performance on both the race track and the road. The sportiest road-registered MINI ever made will go on sale later this year in a limited run of 2,000 cars. It is currently completing a programme of testing in preparation for series production, part of which has involved setting an impressive fastest lap of the Nürburgring’s Nordschleife circuit. The MINI John Cooper Works GP lapped the erstwhile Grand Prix course in 8 min. 23 sec. In so doing, the new model has put clear asphalt between itself and numerous sports cars from loftier perches – and beaten the lap time set by its predecessor, the MINI Cooper S with John Cooper Works GP Kit, by almost 19 seconds. 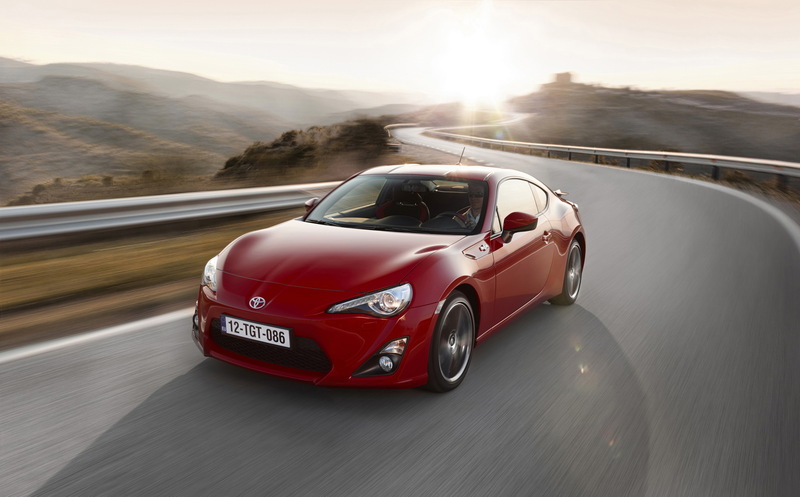 Toyota's long-awaited compact 2 +2 seater sports car based GT86 with its consistent focus on the driver and his incomparably precise response to steering commands to gas and all those for whom driving is first and foremost passion. 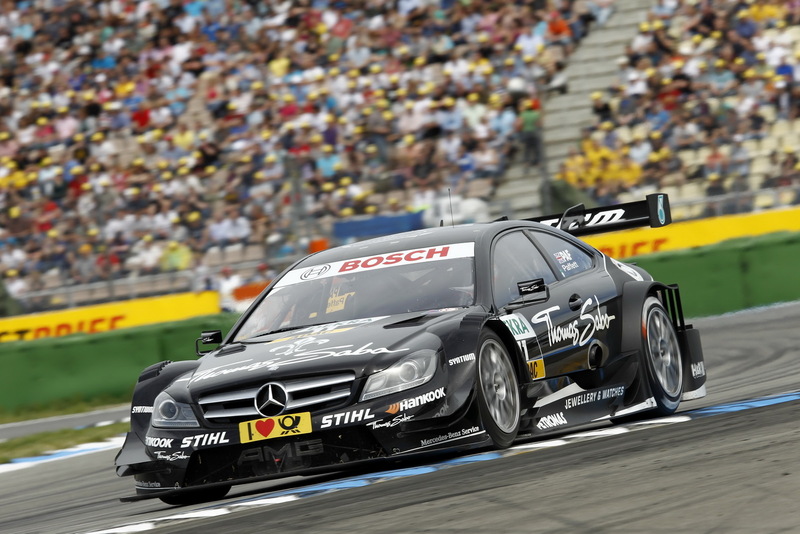 The motorsport fans have the DTM fever and built a record crowd for the season opener: 142,000 spectators wanted to be there for the start into the new era of the DTM during the race weekend at the Hockenheimring Baden-Württemberg. On the Sunday of the race alone, 71,000 spectators celebrated the three-way battle between the premium manufacturers Audi, BMW and Mercedes-Benz and race winner Gary Paffett (GB). The 31-year old Mercedes-Benz driver survived the turmoil after the start and after great duels, he crossed the finish line to finish first from his fellow Mercedes-Benz drivers and compatriot Jamie Green. 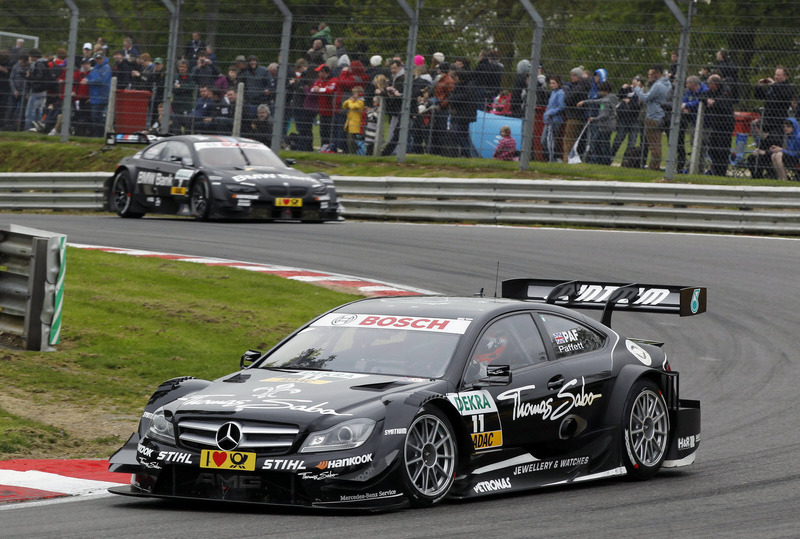 Paffett said about his 18th race win in the DTM: “Last year was really bad for me. Nevertheless, I didn’t lose my self-confidence. Great, the way it has started now. At the start, I managed to stay out of traffic and the duel with Jamie was really fair.” Mercedes-Benz scored its sixth consecutive race win at Hockenheim.